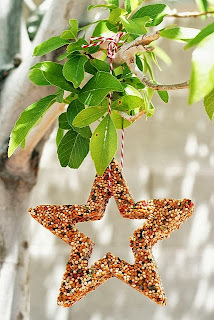 While browsing Instagram and Pinterest the other day I came across some quick to make, homemade bird feeders and it got me thinking about this winter and how I wanted to be prepared with some bird feeders. But instead of going out to purchase the traditional bird feeder, I thought that it would be great fun to make some with my children. So if you are feeling creative, I have complied a list of my 5 favourite homemade bird feeders and I have tried to order them in order of difficulty to make. This to me is the easiest one to make as pine cones are everywhere at the moment and the string ties easily to the pine cone, then all you have to do is stuff with lard mixed with oats and/or chopped up dried fruit and roll in sunflower seeds. A very popular one on the net, there are many variations of the bottle feeder- worth googling and seeing the different styles. I like this one as we all have empty bottles at some point and you can pick up wooden spoons in the pound shops. 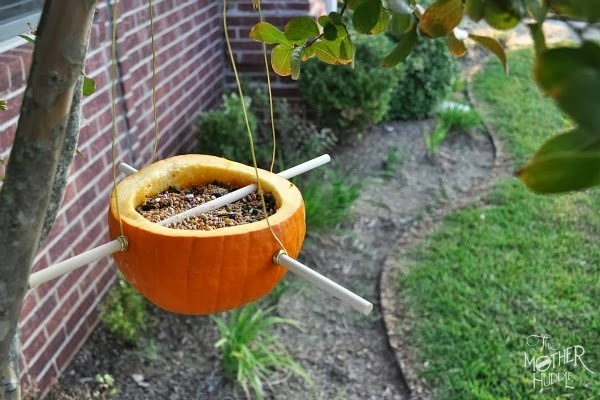 Another use for a pumpkin this October, it's not going to be a long term bird feeder but fairly inexpensive, brightens up the garden and easy to make. 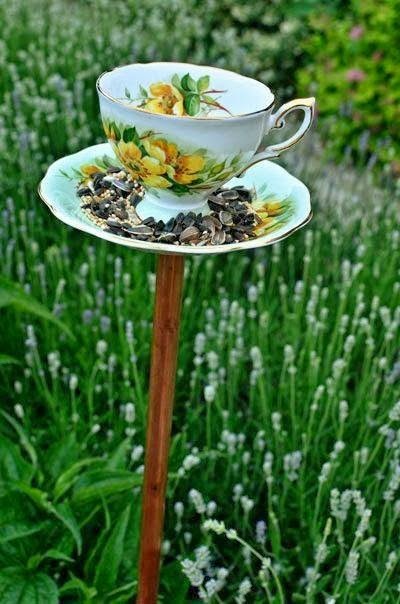 I love this on as you can fill the tea cup with water and surround it with food on the saucer. Worth looking round charity shops for pretty cups and saucers. Tricky bit would be securing the saucer onto a stick/wooden rod. Couldn't have this in my garden with a 2 yr old, 4 yr old and dog but lovely nonetheless. 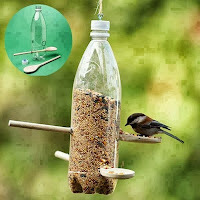 A perfect feeder to put out for Christmas time! Consists of using the moulds that you already have in your kitchen for baking. I have seen that you can make these either by using the same mixture as the pine cone feeder- lard and seeds or by mixing and heating gelatine mix, water and seeds and leaving to cool. 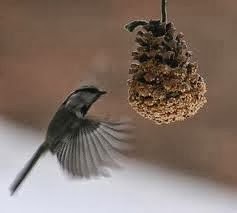 Encourage your children to make a log of the birds using the feeder, including drawings, photos and descriptions. Have you ever made a home-made bird feeder- We would love to see it so please share with us !